Spending power is on the rise for Middle Eastern MICE (meetings, incentives, conference and exhibition) buyers, a report said, adding that 69 per cent of regional buyers planning more events over the next twelve months. 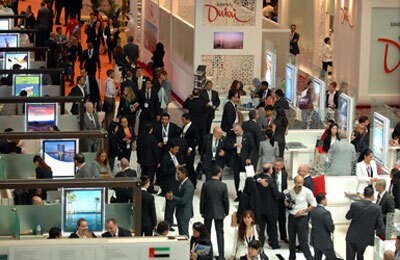 Unlike other regions of the world where budgets are under extreme pressure even when volume is increasing, 59 per cent of Middle Eastern buyers are forecasting increased budgets for the next twelve months, according to GIBTM, the Gulf Incentives, Business, Travel and Meetings exhibition, which is set to return to Abu Dhabi National Exhibition Centre (Adnec) from March 24 to 26, 2014. Top countries identified as key destinations for outbound business from GMENA identified by regional buyers were: Turkey, Spain, France, Malaysia, India, UK, Indonesia, USA, Philippines and South Africa. “The show has exceeded my goals and expectations, with 60 per cent of buyers I have met representing DMCs in the UAE who want to send more business to San Francisco, particularly incentives and groups. “I have also met with corporate buyers from Saudi Arabia – another objective on my hit list. Reed Travel Exhibitions has been very helpful in helping San Francisco exhibit at the show and meet with buyers and we will definitely return to GIBTM next year,” he added. In 2013, 7,207 pre-scheduled appointments brought Hosted Buyers and Exhibitors together, with 2,364 total visits and 302 exhibiting companies representing 35 countries. “We are looking at a figure of 8,500 pre-scheduled appointments for 2014, which will be a significant increase on 2013, as we roll out a number of exciting new initiatives including Business Travel @ GIBTM which will offer the Business Travel Zone featuring specialist exhibitors, Business Travel Knowledge and exclusive networking opportunities for this specific sector and the first-ever GIBTM hosted Market Focus on Asia event along with a dedicated Asia Pavilion,” Hall concluded.